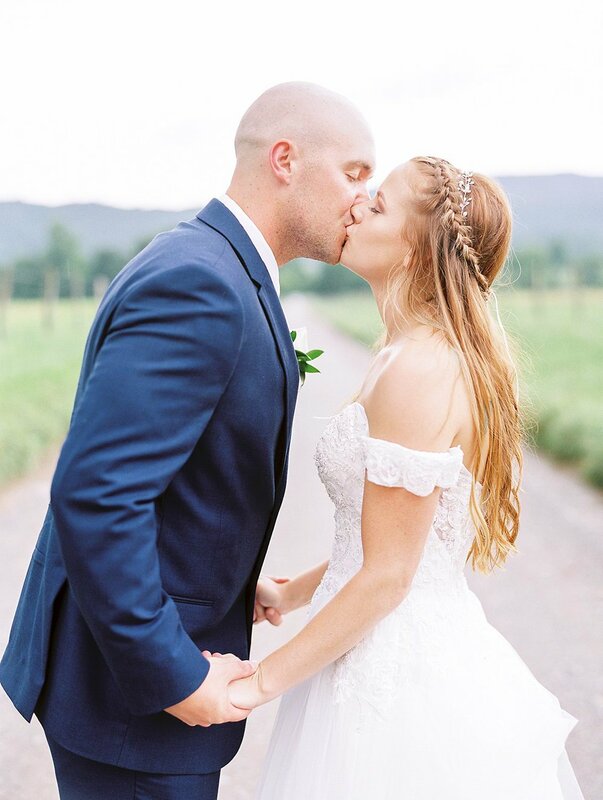 One amazing aspect of being locally permitted National Park photographers is that we get to meet couples from all over who come to our gorgeous Smoky Mountains for their weddings and elopements. 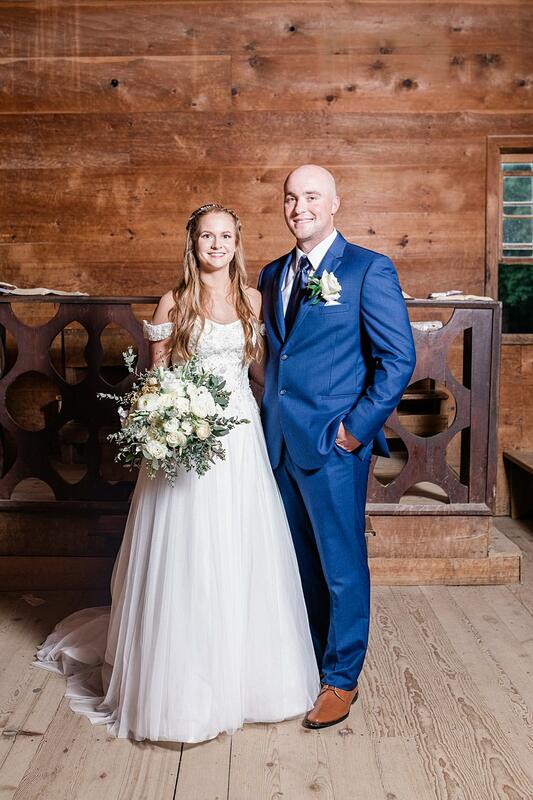 We’ve photographed couples from Texas, Florida, Michigan, and Alabama, just to name a few places, and although Jordan and Nick didn’t have to travel that far from Nashville, they knew they wanted to get married in a beautiful setting surrounded by their closest loved ones. 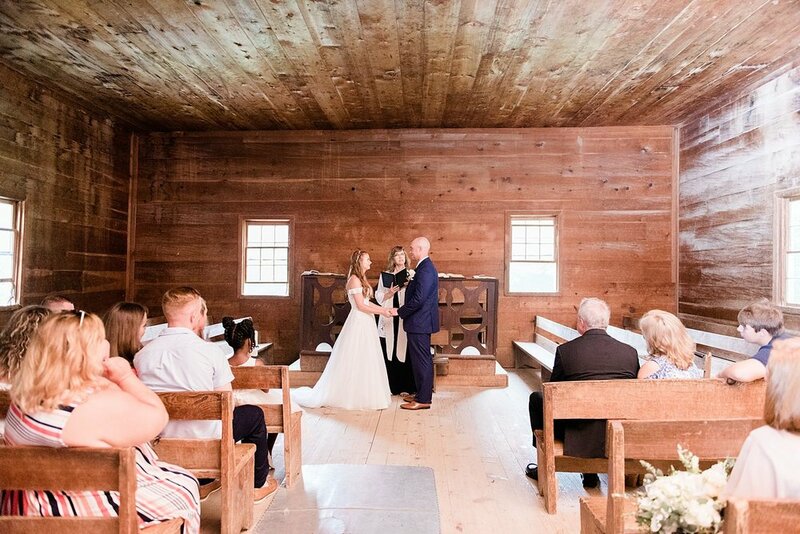 We knew that Cades Cove would provide the ideal setting and were so glad to learn that they had chosen to get married here. 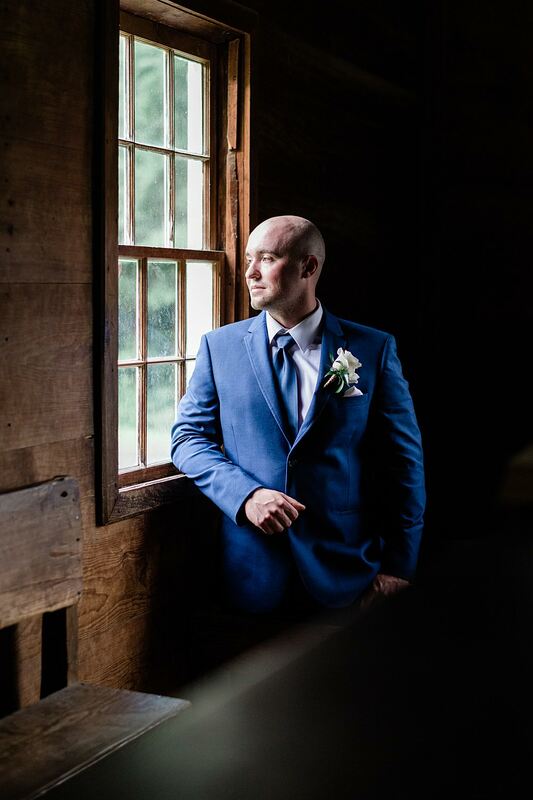 Sometimes keeping it simple is just the way to go, and Jordan and Nick decided that an elopement style wedding was practical for them considering the life changes (new jobs and a move) they wanted to make shortly after being wed. Having spent a lengthy amount of time away from each other shortly after they started dating, as Nick was deployed to Afghanistan, each stressed that waiting for the other was so easy. 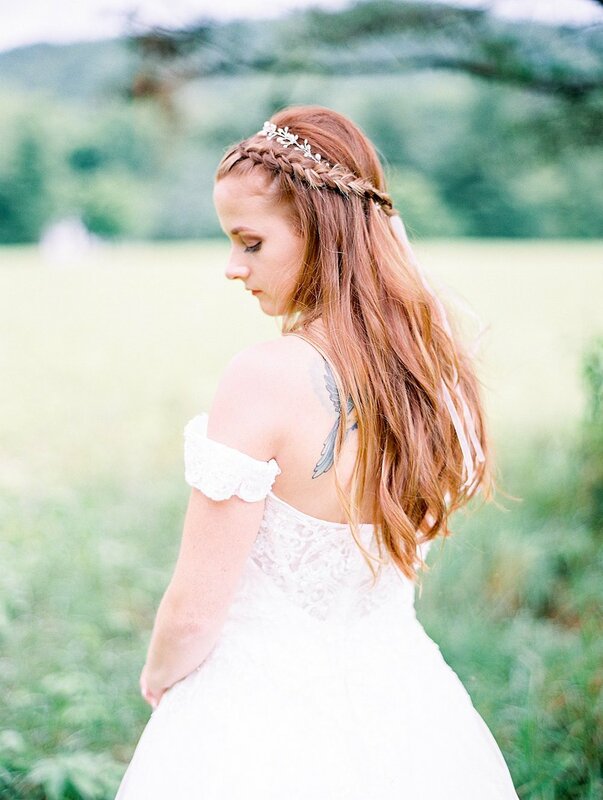 It was the initial contact when they indicated that “photography is the most important aspect” of their day that we knew these two would just be a dream to work with, and guess what? They absolutely lived up to that expectation. 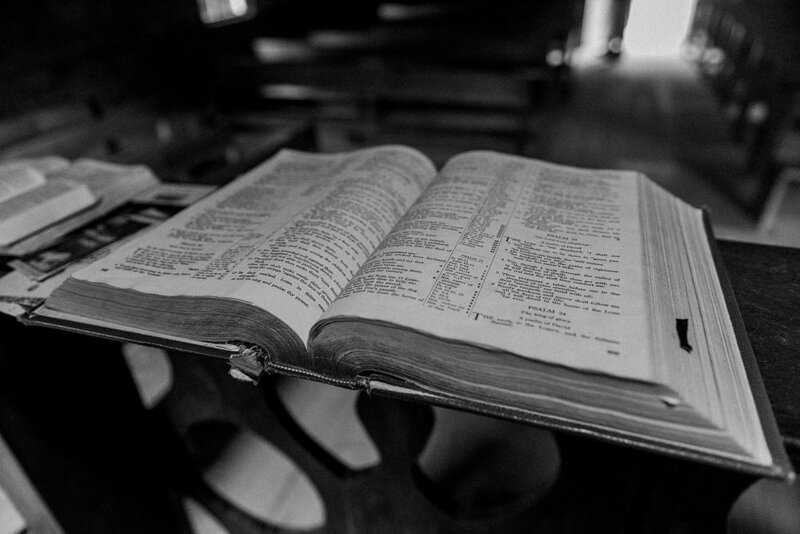 With a quaint ceremony inside one of the churches throughout the one-way loop, the Primitive Baptist Church, it didn’t really matter that a thunderstorm rolled in during the intimate ceremony (despite our promises to do our “no rain” dance). 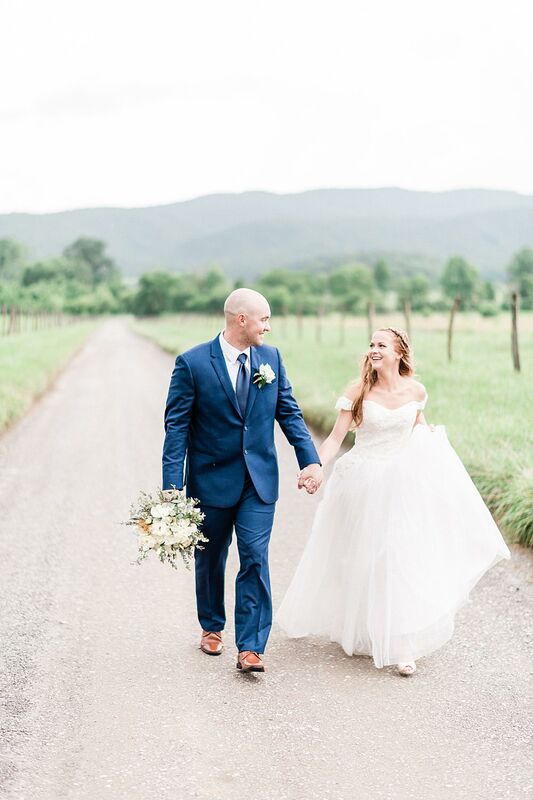 The skies cleared miraculously right after family photos in order for us to take Jordan and Nick on an adventure through the Cove, utilizing the mountain views, expansive fields, and pictereqsue pathways as the backdrops for their wedding photos. 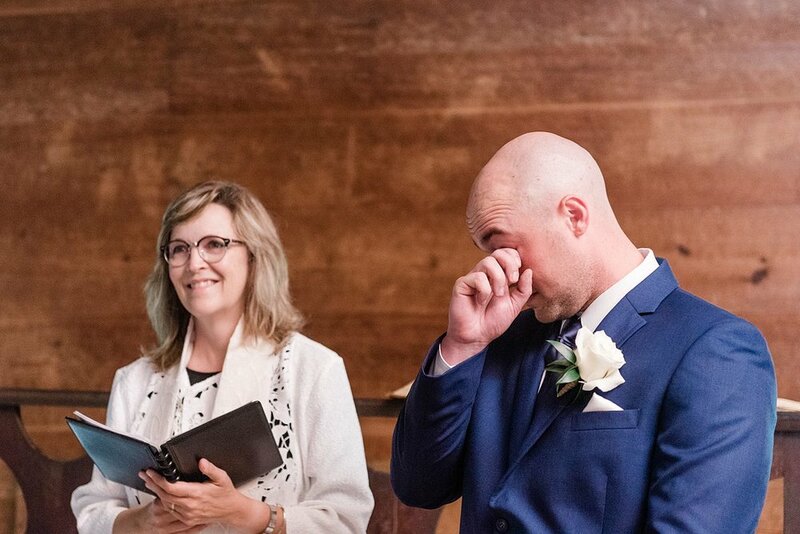 We know that we will reconnect with these two in the future and hope we have the honor of continuing to capture their monumental life events as husband and wife. 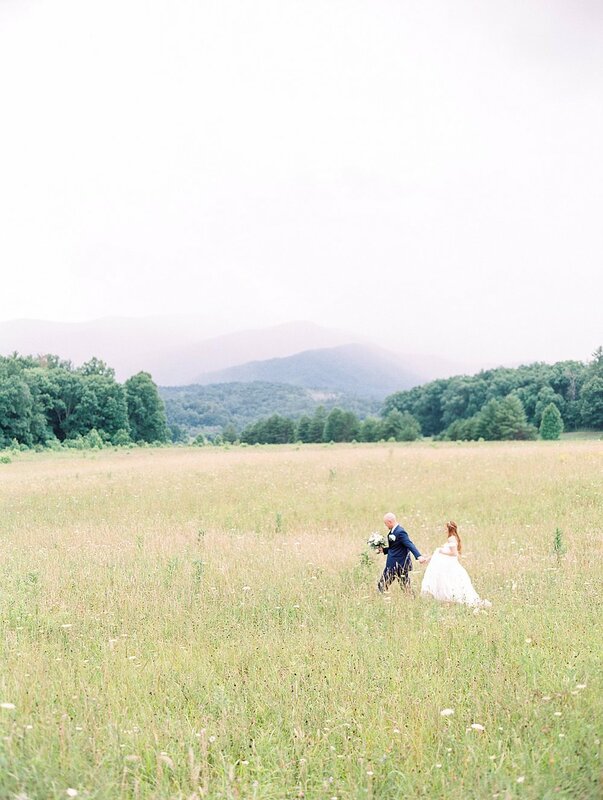 Enjoy this glimpse of Jordan and Nick’s day within the Great Smoky Mountains National Park in breathtaking Cades Cove.